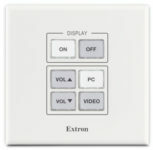 Extron 90° LBC – Laptop Breakout Cables with Audio directly connect video and audio from a laptop, notebook, or any computer without a local monitor to any 9-pin Extron interface, such as the RGB 202 Rxi. 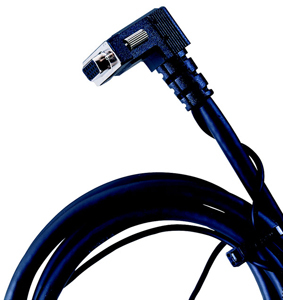 For small spaces and high traffic areas, the 90° connector angle enables low profile, clean-looking cable connections in upward or downward directions. The LBCs with audio include 3.5 mm stereo mini plugs.